Rabbits must have access to plenty of fresh water at all times. Rabbits eating lots of fresh grass and greens will drink less, whilst those eating mostly hay will drink more. 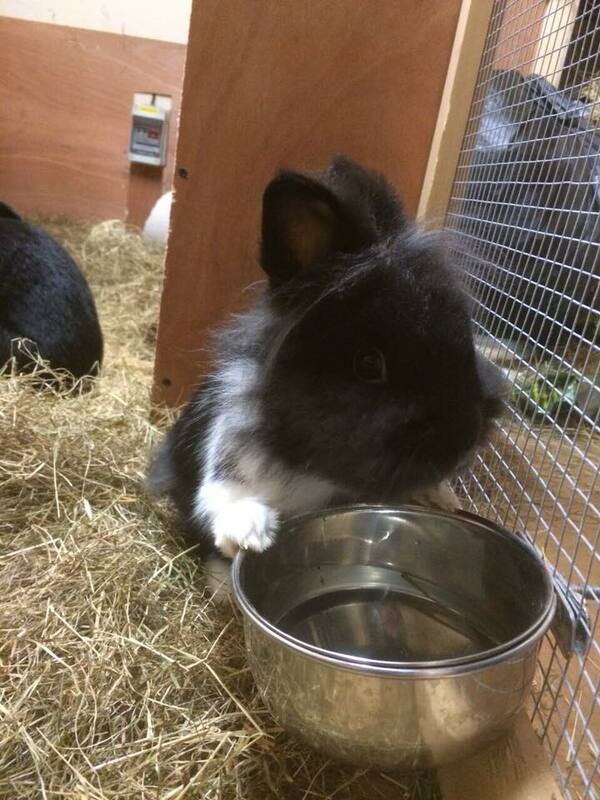 Bowls are better than bottles as lapping from a bowl is more natural to rabbits. The spout of bottles can easily get clogged, and will freeze in winter if your rabbit lives outside. Change the water in both daily, clean them regularly and keep them free of any slime or debris. Thinking of getting a bunny?